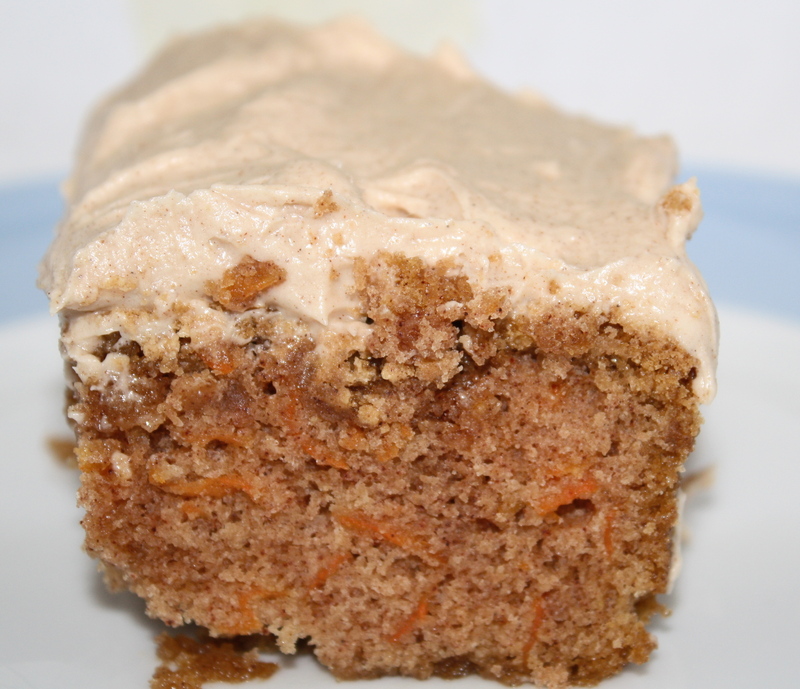 It’s Spring, and around Easter time, we always enjoy a good carrot cake. Who doesn’t? Carrot cakes are tough though. They can often come out dry or crumbly. Some are too spicy, too full of raisins. Or, maybe I’m just too picky about my carrot cake. Color me high-maintenance. 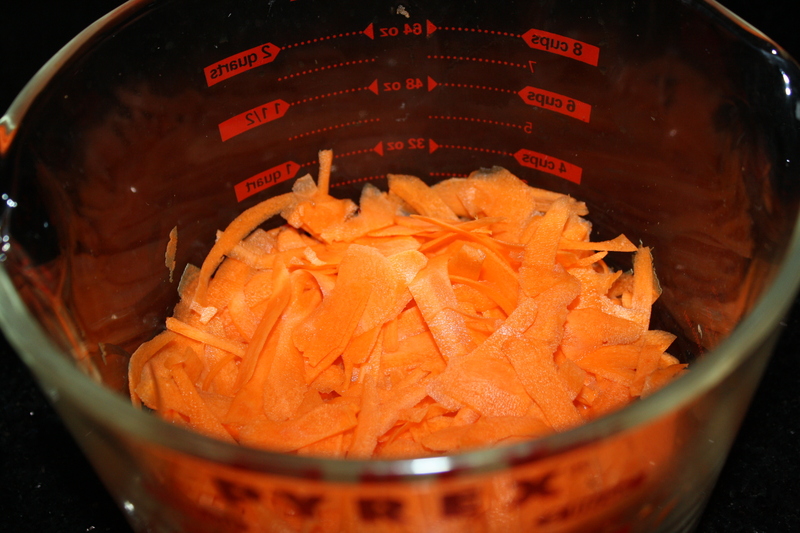 The carrots were shredded before I got got started. But right off the bat, I sort of deviated from the original recipe. I didn’t plan on using raisins or nuts out of personal preference, but more importantly, it didn’t feel right to add the sugar directly to the flour, just based on my own baking experience. Instead, I started by mixing the oil with the sugar. They didn’t really combine into a creamy substance like sugar would mix with butter. Instead, the blend had the texture of Cream of Wheat. 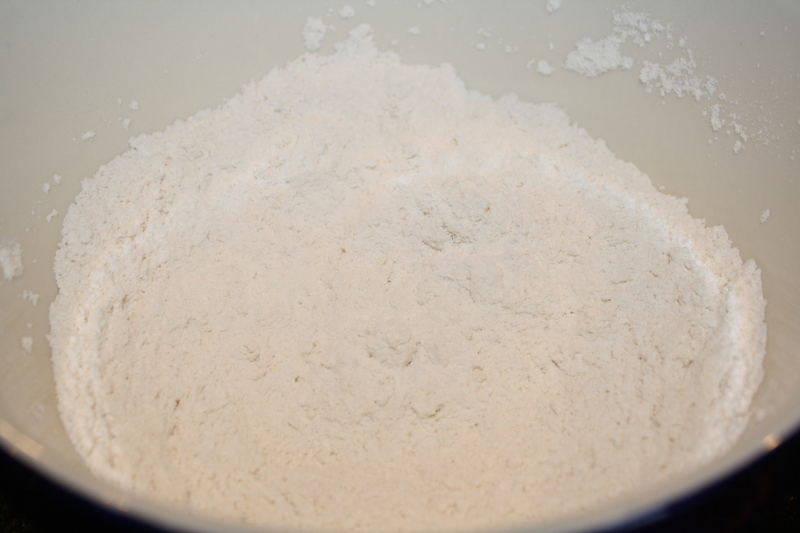 While that was mixing, I sifted together the flour, baking soda and salt. 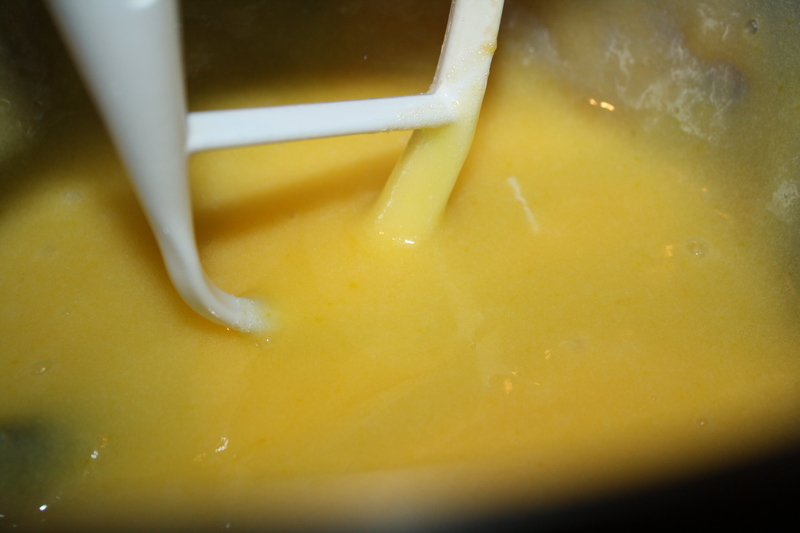 To the wet mixture, the eggs were added and blended one at a time. And I also added one teaspoon of vanilla. 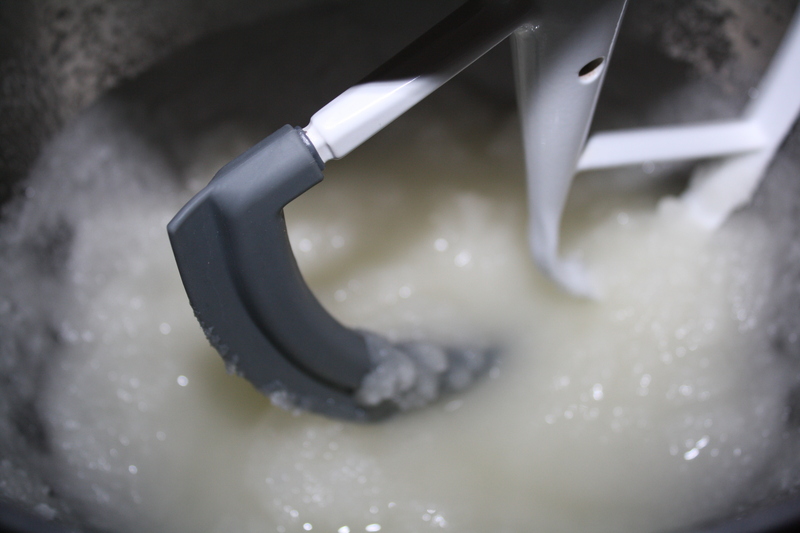 The dry ingredients were then incorporated, slowly adding one cup at a time. 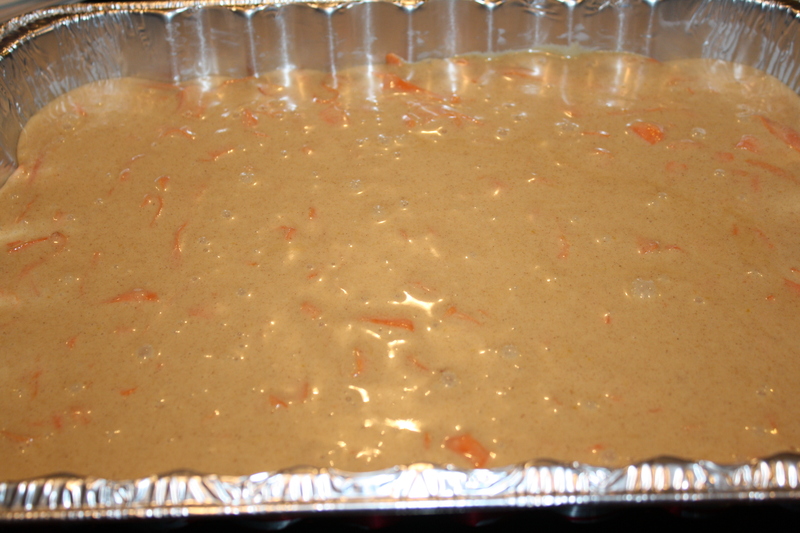 The carrots and cinnamon were added finally, and then I poured the batter into a 13×9 pan. I’m glad I did this, because a 9×9 pan would have been way too small. My oven bakes best at 325. I find the edges don’t burn when the oven is lower than 350. So, I put the pan in the oven and baked for 25 minutes. The cake was still very loose in the middle at that point, so I put it back in and kept baking at 5 minute intervals until the toothpick came out clean. This took about 40 minutes total. Once the cake had cooled, I made the frosting, using my own cinnamon cream cheese recipe. 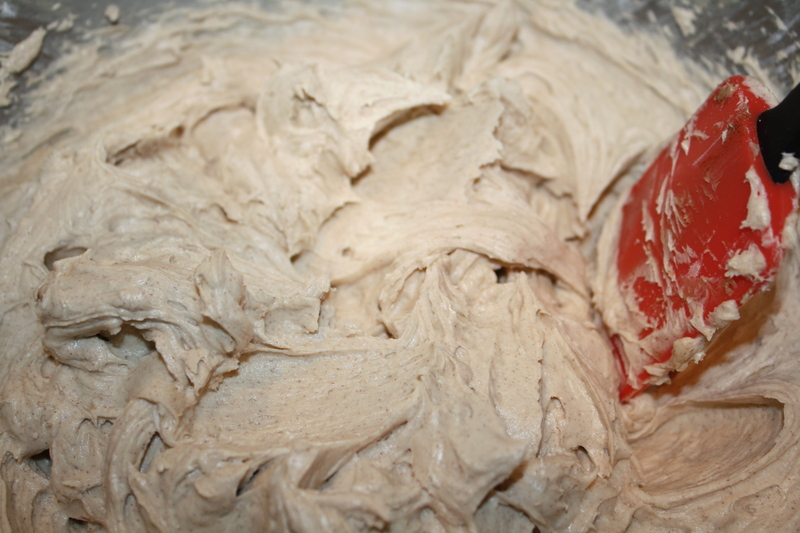 Whip ingredients together, adding confectioner’s sugar slowly until icing is thick and smooth. This carrot cake is very moist, but it’s a little bland, almost like a boxed carrot cake might be. I think it could use a little more cinnamon, and perhaps a dash of nutmeg, but maybe that’s just me. 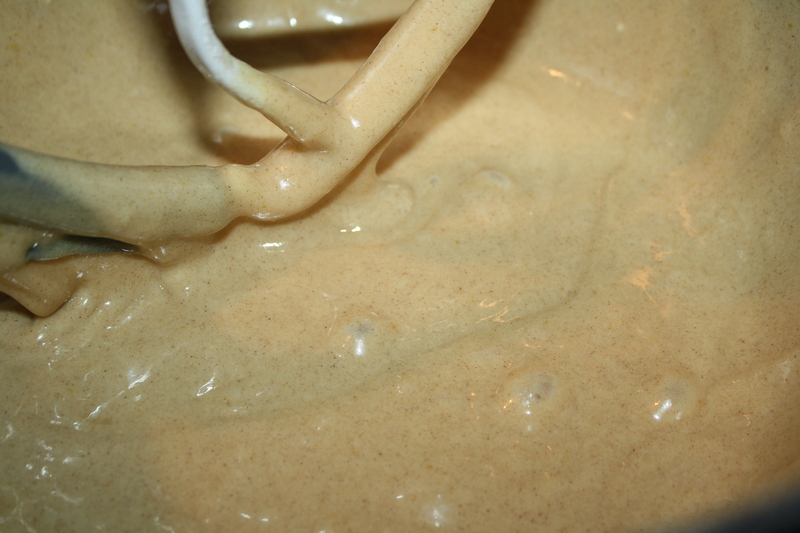 I’ll probably make it again, adding another teaspoon of cinnamon and perhaps one of nutmeg as well.